Lock in a great price for Hotel Bonanza – rated 8.5 by recent guests! Neat and Clean, well behaved staff, hotel at prime location. Just loved it. This was a family trip which was long pending (with Parents, My Family & Younger brother & his family). Totally 6 Adults, 1 Child of 8 yrs & 1 Infant a year old. 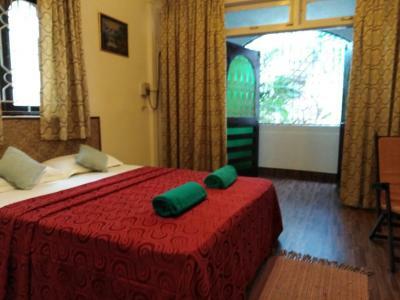 We had taken 3 Executive Double rooms with Balcony. The hotel has approx. 10-12 rooms (Ground + First Floor). No lift. 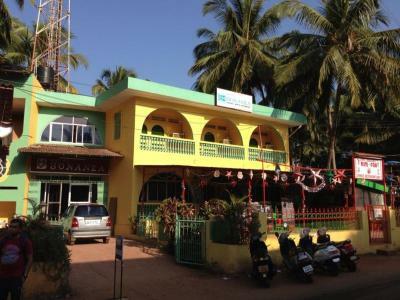 Hotel is located bang on Baga - Calangute Road. 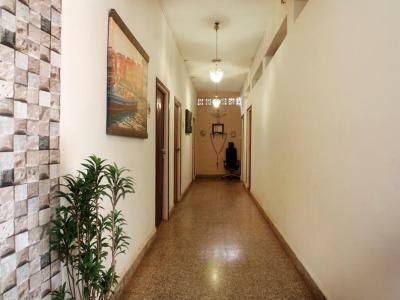 Its just a 5 min walk from the famous Tito's Club & Baga Beach. The hotel staff was friendly & helpful (esp. Ashok). They will also guide you for the different places to visit. The hotel has a Pizzeria attached to it called Squeeze & Slice which serves good pizzas & sandwiches. The hotel does help arrange for taxis also. The taxi drivers (Vijay & Yogesh) were punctual & safe drivers. It is not my first time there ! I really love this place and I appreciate the owner's hospitality. A great location with a lovely places near it. 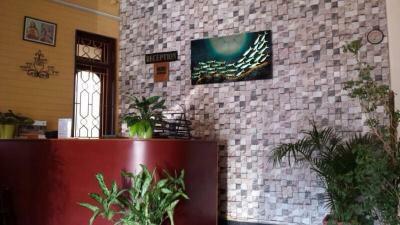 The staff were excellent especially the daytime reception clerk, Faleesh. Sumon, his night assistant was also very good. 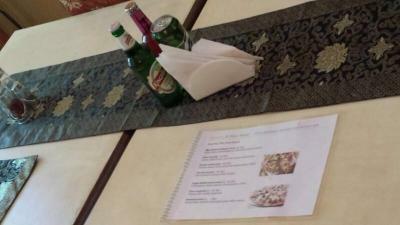 Onsite Chinese restaurant is also great for dinner. The location of the hotel is excellent. 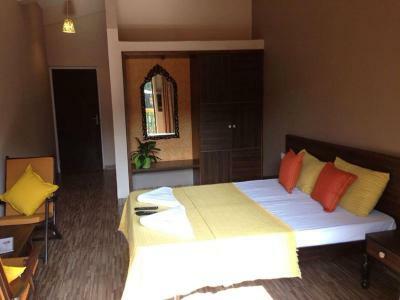 The size of the room and bathroom is very good and extremely comfortable for 2 people. 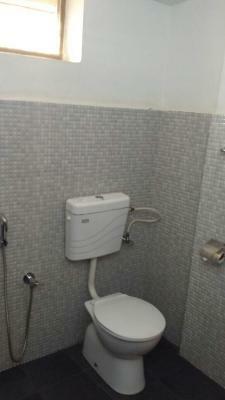 The hotel also ensured that the rooms are cleaned daily. I found the place extremely value for money. Beautiful cottage in a great position next to the beach. 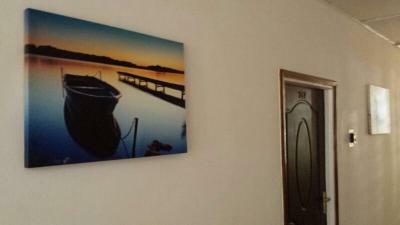 The cottage was spotlessly clean. Gardens were stunning . Highly recommended. Staff were attentive and helpful. We loved it!! Hotel Bonanza This rating is a reflection of how the property compares to the industry standard when it comes to price, facilities and services available. It's based on a self-evaluation by the property. Use this rating to help choose your stay! 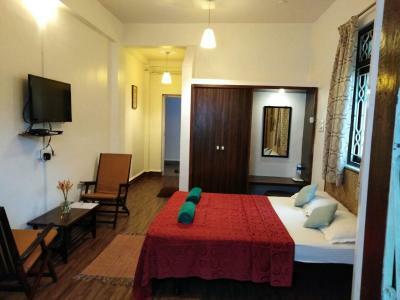 Located just a 2-minute walk from the sandy Baga Beach and 650 feet away from the famous Tito's Lane, Hotel Bonanza features two restaurants and a bar. It also offers private on-site parking, as well as a parking and concierge service. 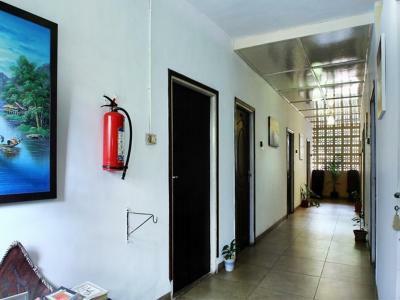 Free WiFi is available in some rooms of the property. 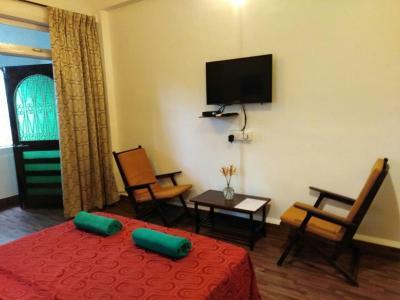 The rooms all come with cable TV, balcony and a small seating area. 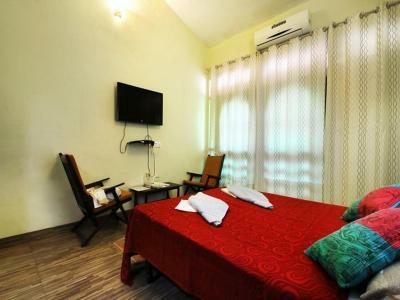 Some rooms are equipped with air-conditioning. 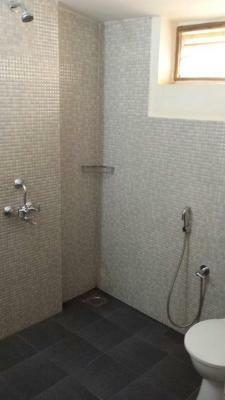 Each private bathroom includes free toiletries and a shower. Guests can head to Squeeze & Slice, which is famous for its thin crust pizza, juices and smoothies, or to Kim Fa Restaurant for Chinese delights. Room service is also offered, and guests can make use of the laundry and dry-cleaning services. Bonanza is located only a 10-minute walk from Anjuna and Calangute Beaches. 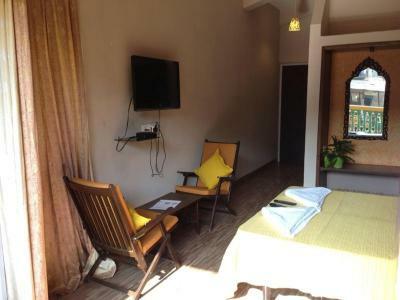 Tivim Railway Station is 9.3 mi away and Dabolim Airport is 31 mi from the guest house. 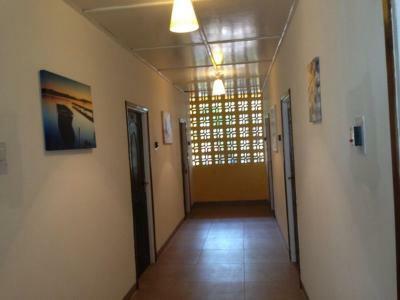 This property also has one of the top-rated locations in Baga! Guests are happier about it compared to other properties in the area. 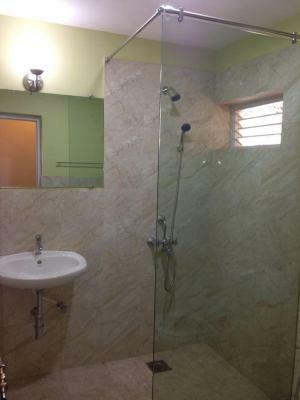 This property is also rated for the best value in Baga! Guests are getting more for their money when compared to other properties in this city. When would you like to stay at Hotel Bonanza? 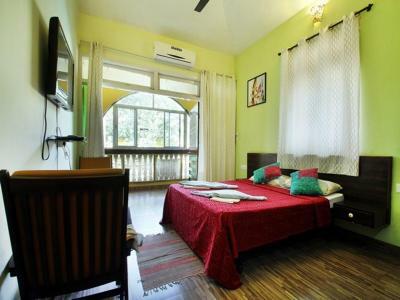 Featuring cable TV, balcony and a seating area, this room is equipped with a fan. 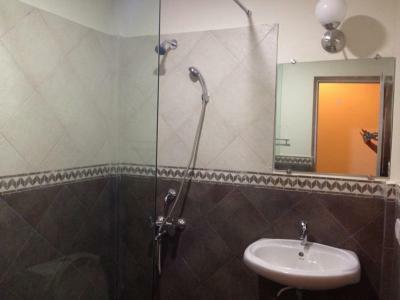 The private bathroom comes with free toiletries and a shower. 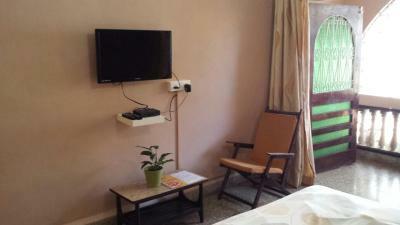 This air-conditioned room features cable TV, balcony and a seating area. 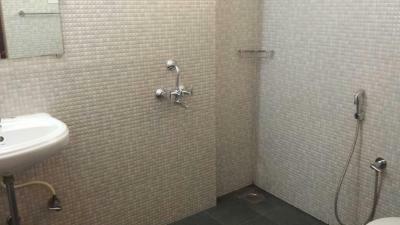 The private bathroom comes with free toiletries and a shower. 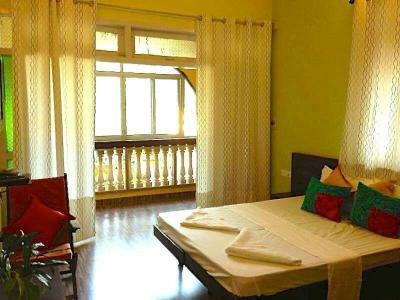 This twin/double room features a balcony and satellite TV. 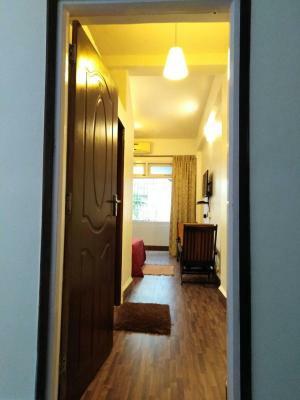 This twin/double room features a balcony that overlooks the road, tea/coffee maker, safety deposit box and air conditioning. 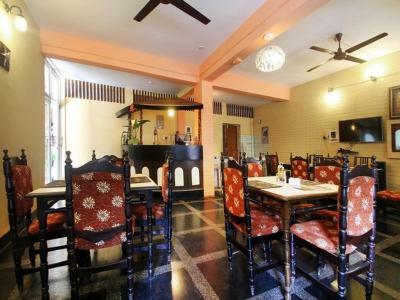 This cosy family run hotel has something for every type of traveller due to its close proximity to the beach, the main party area, restaurants and shops. 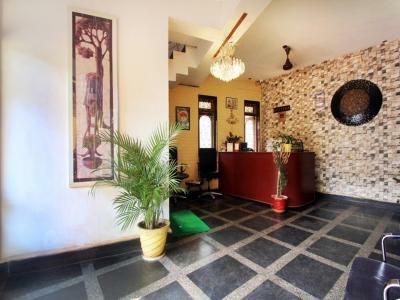 A homely, comfortable and classy home away from away home ambience. House Rules Hotel Bonanza takes special requests – add in the next step! Hotel Bonanza accepts these cards and reserves the right to temporarily hold an amount prior to arrival. Please note that the extra bed charge from 22nd December 2017 to 2nd January 2018 is INR 1000. Coordial staff and room service was good. The hotel is on a busy road and there is constant traffic day and night as well as loud music but then this is the nature of Baga and after a while you embrace the whole thing as part of your stay. The staff and service were excellent. Very friendly nothing too much trouble. We upgraded to another room as the room we were given was very basic. Breakfast was good we did not have any other meals at the hotel. The hotel was clean and air conditioning was good. Good wifi reception. many people we spoke to return to this hotel year after year. If your expecting 5 stars this hotel is not for you. We asked for two separete beds. But these could have been wider. Absolutely worth the money! And when we left in a taxi to the airport, we were pursued by a motorcycle. We asked our driver to stop, then the motorcycle-driver (which was the manager from our hotel), gave me my phone with my creditcards aso, I had forgotten at my room!!!! Were kind and honest people on Hotel Bonanza!!! I have stayed at Hotel Bonanza on two different occasions and have had a great experience both times. The staff are AMAZING! So helpful, cheerful, and polite. 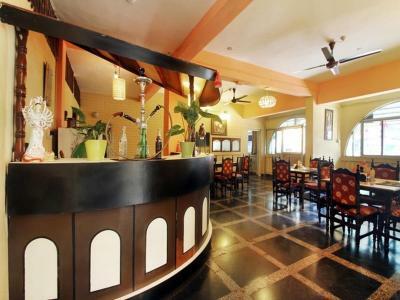 The location is prime for Baga beach and it is close to many restaurants, shops, bars. It is all well lit and I feel safe walking to and from there at night with a friend. 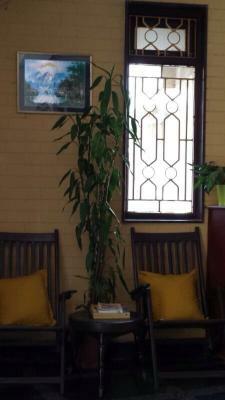 It was noisy every night, because the hotel is located in the heart of Baga. Although it did not disturb me, I would not recommend it for people looking for relaxation. The wifi did not work properly, although there was a wifi extension in our room. The staff was really friendly and helpful. 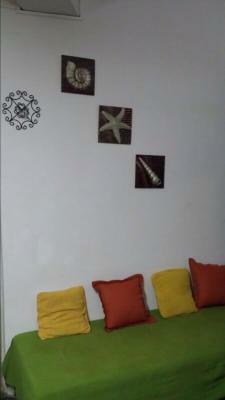 The hotel was perfectly located in the center of Baga and only 5 minutes away from the beach. The deluxe room was spacious and clean. Two star. Ants and insects in the room. Bedsheets not clean. Charged almost 3000rs per day. 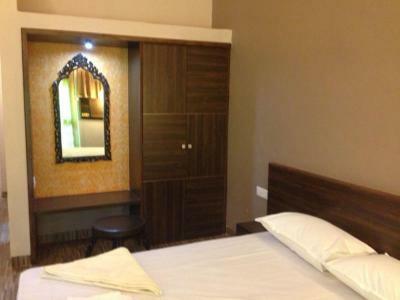 After two days i got better room for 2000rs in same area. There were big ants in the balcony, which bit my wife n her foot was swollen, but than staff gave us ice upon asking which helped in reduce swelling. Property location was very good. Staff were very friendly n helpful. Breakfast we had, it was also good, overall everything was good at it's price. Noisy surrounding, Loud music was playing till late night in the bars near the hotel. 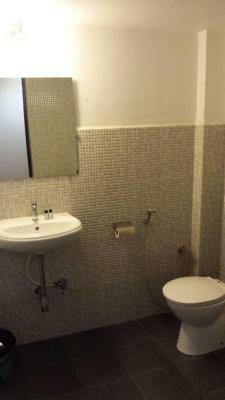 Location, cleanliness, friendly staff, pretty close to good restaurants, bar, pubs and beach.